FULL MASERATI Service History! (1 STAMPS) SERVICE NOT DUE!. Spare Key Included! 1 Owner. 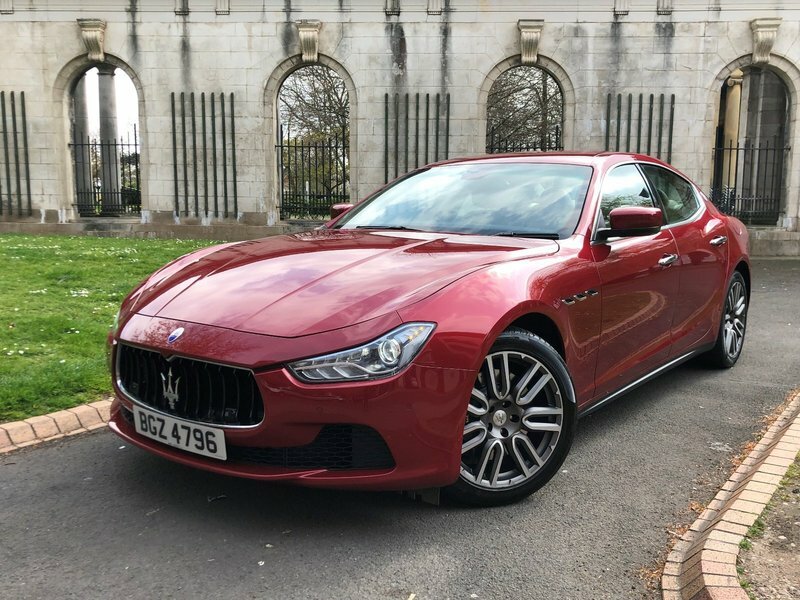 This V6 3.0 LITRE MASERATI GHIBLI comes with; Navigation, Reverse Camera (with Guidance Lines) Electric/Heated/Memory Seats Upholstered in FULL Cream Leather, F/R Parking Aid (Visual & Acoustic), Auto Xenon Headlights, Electric Steering Column, Auto Boot lid, Keyless Start, Electric Folding Mirrors, Cruise Control, Dual Zone Climate Control, Bluetooth (Telephone Connectivity), Drive Select, 19" Alloy Wheels.